Erie Family Health Center’s (Erie’s) mission is to provide accessible, affordable, and high-quality health care for those in need. Erie is a community health center where patients can receive high-quality holistic care from a medical team they know—and who knows them. Founded in 1957, Erie provides high-quality, patient-centered primary, oral, and behavioral health care for over 68,000 primarily low-income patients at 13 health centers from North Lawndale in Chicago to Waukegan. In the context of health care reform, Erie is implementing innovations to improve the patient experience, expand access, ensure high-quality clinical outcomes, and continue to provide a medical home for patients. Innovative technologies are key to supporting these efforts. Erie relies heavily on its technological infrastructure to track and manage patient health outcomes and ensure the accuracy and efficiency of our service model. 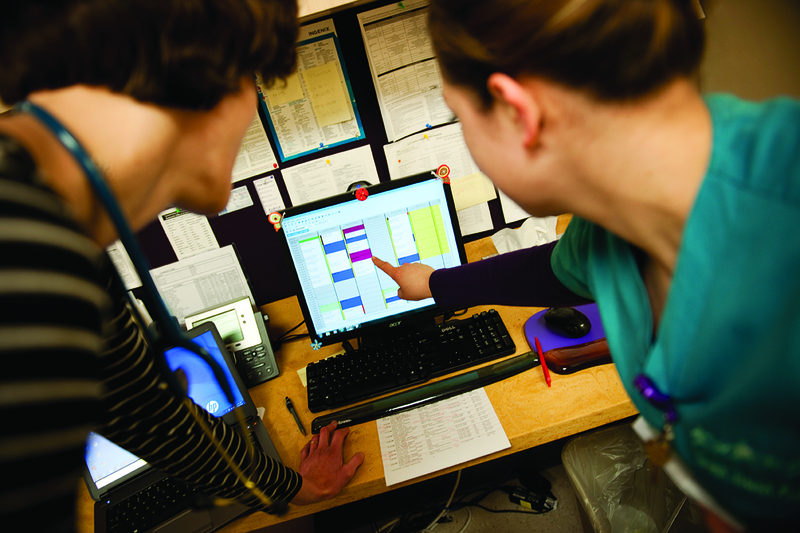 The Washington Square Health Foundation Automated Clinical Messaging Project has enabled Erie to coordinate patient care across the health care continuum by streamlining data sharing between primary care and external specialty providers and hospitals. The automated system was established for the bi-directional exchange of key patient data between Erie and partner providers, resulting in complete health histories and up-to-date information for accurate clinical decision making. Erie makes over 48,000 external referrals annually, and with the Automated Clinical Messaging Project, is able to better coordinate referrals with Ann & Robert H. Lurie Children’s Hospital, University of Illinois Hospital and Health Sciences System, Norwegian American Hospital, Cook County Health and Hospital System, Swedish Covenant Hospital, and NorthShore University HealthSystem. These efforts are improving patient safety and facilitating efficient information sharing among providers and ultimately empowering patients to manage their own health. Erie has improved health care for thousands of patients in the Chicagoland area, including Chris, a patient at Erie Evanston/Skokie Health Center. Chris had lost 35 pounds in one month, and was hesitant to seek care after many years of being out of care. After an examination and learning about his weight loss, Erie immediately referred him to the Oncology Department at NorthShore. Through an expedited process, he was diagnosed with lymphoma and able to begin treatment within one week. With Washington Square Health Foundation’s support, Erie has been better able to communicate with hospitals, providing better treatment planning for patients like Chris.